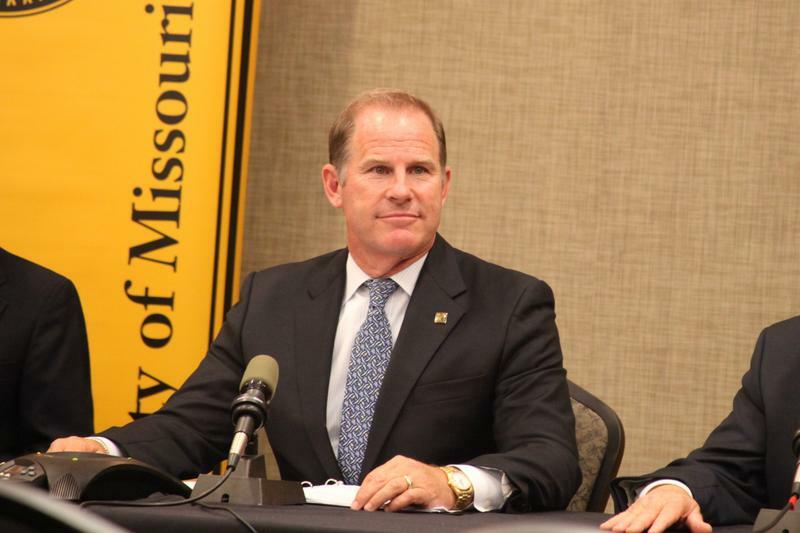 “I’ve always thought about the power that the student athletes have and how it can be utilized and I think that the Mizzou football team here did utilize it and they were instrumental in the resignation of ex-president Tim Wolfe,” said Lee. He also followed and filmed a Concerned Student 1950 demonstration throughout campus Monday. As his first visit to Mizzou, Lee was impressed by what he saw. “I’ve met brilliant, young minds here at this campus: committed, intelligent, eloquent. So it’s been a great experience,” said Lee. Lee said he and his crew will fly back to New York Monday to begin the editing process. He says he has a deadline to finish the short documentary before the end of the month. “We hope to come back and screen it on campus before it goes on ESPN,” said Lee. Lee says he interviewed Interim UM System President Mike Middleton, who welcomed the idea of hosting a screening on campus. Over the weekend, Lee also attended a screening of a short documentary about Concerned Student 1950 that premiered at the True/False Film Fest in Columbia. Concerned Student 1950’s demonstration Monday was in response to the University of Missouri administration’s efforts to create dialogue around race on campus. The group’s message Monday was that The Working Group, a group put together by Interim Vice Chancellor of Inclusion, Diversity and Equity Chuck Henson, is not working. “Our goal is not to work within the system. Our goal is to dismantle the system, so that’s why we’re here. So if we don’t get it, shut it down,” a member of Concerned Student 1950 said during the demonstration. 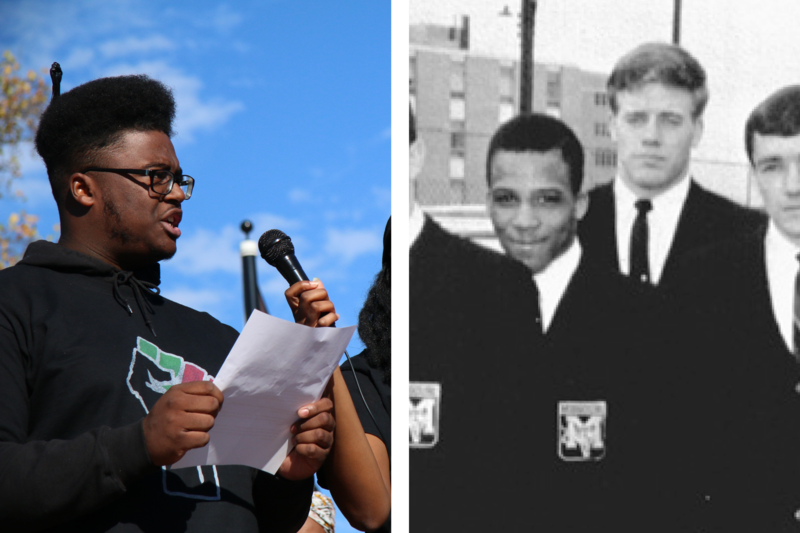 Members of Concerned Student 1950 marched from the Black Culture Center to the Student Center, Memorial Union and Jesse Hall. Along the way, they spoke to student spectators and tour groups, saying that students should not be doing the administration’s job by discussing how to address racial issues. For much of the march, Lee followed along filming in the middle of the action with his cell phone while his film crew stood further back and also documented the action. The protesters visited Jesse Hall and confronted Henson, telling him they don’t believe the Working Group is fulfilling its stated goal. Henson defended the Working Group, which began meeting on February 17, in person, and later in an online video statement released Monday afternoon. “We’re dealing with issues that took more than 100 years to develop here, and it’s certainly gonna take more than 100 days and three meetings to address,” Henson said. Henson addressed the demonstration, saying the group was not interested in having a conversation with him when they visited his office. Shortly after that statement, he left to take a phone call while the group was talking to him. Concerned Student 1950 members say they do not trust the administration to handle diversity and inclusion issues. “Why would we trust them to dismantle the systems that they created? Why are we putting our trust in administration? They made this. They did this, so we’ve got to dismantle it. We’re not gonna work with them. No more, no more, never again,” a Concerned Student 1950 member said. Ayanna Poole, one of Concerned Student 1950’s founders, says members the group have been active in Working Group meetings, but the campus climate has not improved. Poole says every action has had an element of political gain. She feels the Working Group has not accomplished anything through lectures and policy discussions. 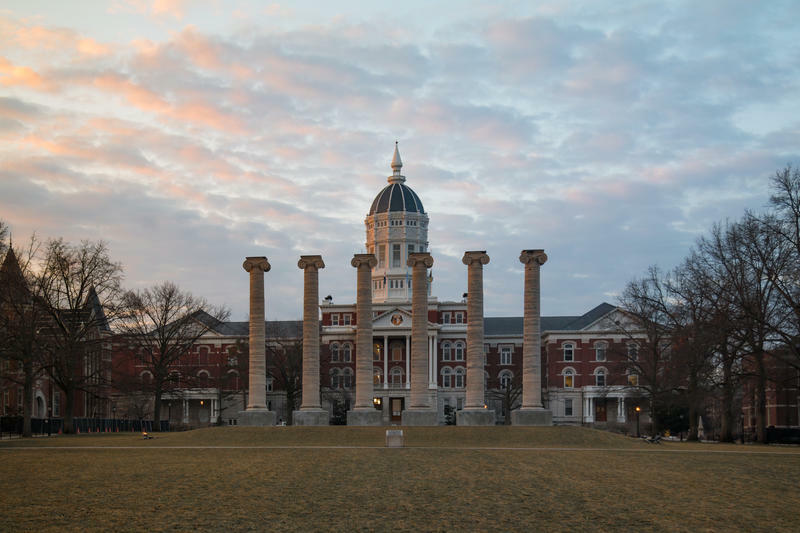 Last month, Henson wrote an email to members of Concerned Student 1950 asking them to stop making demands and instead focus on other methods toward progress. On Monday, Jonathan Butler took to Twitter to make the announcement that he is no longer affiliated with Concerned Student 1950. Butler began an eight day hunger strike in November 2015 that garnered national attention and eventually culminated in former UM System President Tim Wolfe’s resignation. “With everything going on last semester, especially with him being the proprietor of the hunger strike, I would just chalk it up to self-care, if anything. […] I’m not looking at it as at attack other than I just need to breathe,” Allen said. Wolfe’s resignation was just one of eight broader demands that Concerned Student 1950 made. The issue is that there isn’t consensus between students, faculty and staff on exactly how to improve the campus climate. “That is the million dollar question … we don’t just get up and decide we’re gonna go protest or we’re just gonna go be – go and halt the way that things work on a daily basis. These are true things that happen, you know. We’ve been in meetings with administration, we’ve been in meetings with faculty members, we’ve been in all of these different spaces where we’ve had time to work and bounce ideas off each other and nothing’s happening, you know,” Allen said. Note: The headline for this article was previously, "Spike Lee Documents Concerned Student 1950 Demonstration for Upcoming '30 for 30' Film," based on the comments Lee made to KBIA reporters. It has since been changed. An ESPN Spokesperson has since said the film is not under the '30 for 30' brand, but instead is part of a special series, 'Spike Lee's Lil' Joints." 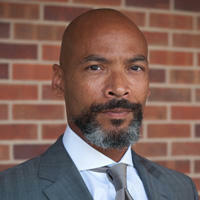 The University of Missouri Provost announced that Associate Dean for Academic Affairs and Trial Practice in the MU School of Law Chuck Henson would be named Interim Vice Chancellor for Inclusion, Diversity and Equity effective immediately.